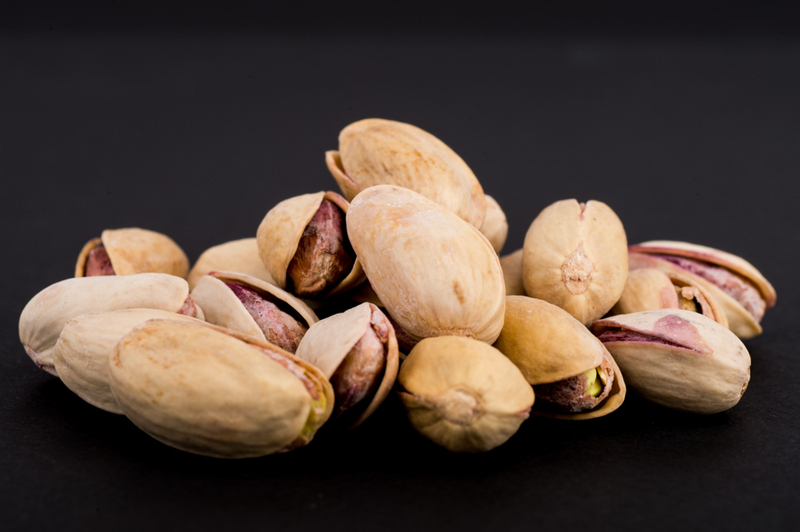 Product is roasted pistachios in golden-yellow shell, which is slightly open with a green-purple nut protruding inside, and should be of the correct grade. The shell should be hard and dry, and break crisply when opened. The kernel is slightly wrinkled with a muted mauve and green colour and should have a crunchy exterior which gives way to a crispy interior which is oily and smooth. Product should have a typical salty, fresh and oily-aromatic taste, and should be free from off-flavours and aromas. Product should not be burnt, rancid or mouldy.